Over 55 built in module positions are there to help you customize this template the way you like. 6 custom module styles are built in just in case you would like to alternate your modules look. If you have a members team you can use custom photographers layout to present their details. Custom built in styles for K2 , YJ Image Slider and YJ Sphere Slider will help you adapt those extensions to Snapshot and enhance their functionality. 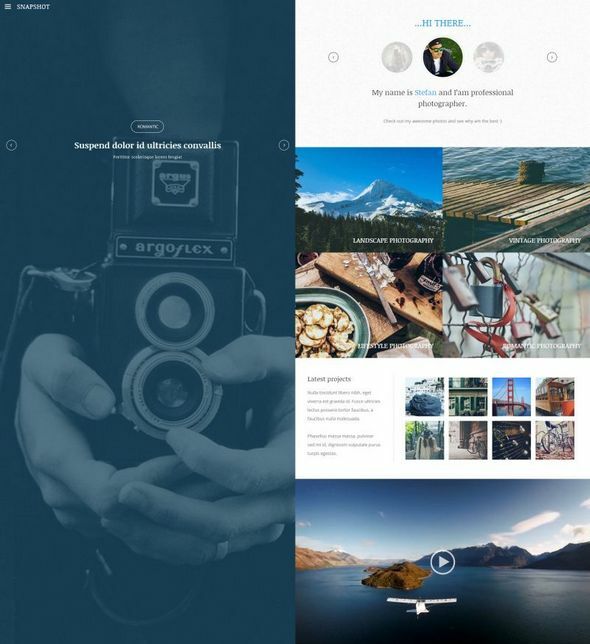 For one page layout lovers we also added second homepage to assure you that Snapshot is flexible as it gets. Beside the layout combos Snapshot also comes with custom hidden menus, image effects, custom backgrounds and inspiring typography. So do not hesitate , download Snapshot and show you work!